The RAU or Raksha Shakti University is the unique university of its kind in the country which is located in Ahmadabad, Gujarat. This university is set up with the mission to become the center of excellence with advanced knowledge and skills in the police and security administration. The Raksha Shakti University engaged in offering a variety of undergraduate, diploma, master and doctoral courses in the field such as criminology, cyber security, industrial security, security management etc. It basically focuses to produce the human power that is best in handling security issues. The Raksha Shakti University was set up by the government of Gujarat in the 16th year of the republic of India. The university is carried out from old SPIPA building at Meghaninagar, Ahmadabad, Gujarat state. This university is established to fulfill the growing needs of the police and security forces. It aims at producing the professional manpower that is efficient and trained and meets the requirements of the security forces. The Raksha Shakti University or RAU is the unique university of its kind and quite popular throughout the country. The basic key features of the university are illustrated here. • The university offers the variety of courses with the modern technology for managing the issues related to cyber crimes, internal security, economic offenses, terrorism and crimes related to juveniles. • The Raksha Shakti University imparts the world – class education in all the security issues and this thing is possible by the intelligent minds of the university which makes this university as the preferred choice. • The university provides the top class infrastructural facilities to the students so as to make them comfortable and to cater their needs. 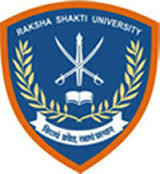 • The Raksha Shakti University is set up to produce the expert manpower who can serve the nation in an efficient way. Several UG, PG, and doctoral courses are offered by the Raksha Shakti University or RAU in security management, criminology, police science, industrial security, cyber security and a lot more. The detailed description of these offered courses is provided here. Admission in the Raksha Shakti University is granted through the well – designed admission procedure of the university. The students should assure their eligibility for the offered course and then join the admission criteria of the university. The university follows different admission procedure to provide admission in different courses. Admission in the doctoral courses shall be provided through the Ph.D. entrance test organized by the Raksha Shakti University for the eligible students. The students shall have to obtain minimum 50% aggregate marks in the entrance examination so as to qualify the same. The entrance comprises of two papers and personal interview. It is required to qualify both papers and interview individually. Subject – wise merit list is prepared and the final enrollment will be done through the merit only. However, NET/ SLET/ GATE/ M.Phill qualified students are exempted from the Ph.D. entrance examination. Are you Interested in Raksha Shakti University.